Starting August 3, 2018 Guinness beer will be brewed at its own U.S. brewing facility. Guinness’ parent Diageo announced January 31, 2017 by press release that they would build a U.S. version of Dublin’s famous Open Gate Brewery in Baltimore County, Maryland. 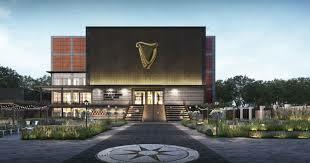 The $50 million project includes the construction of a mid-sized Guinness brewery, packaging and warehousing operations as well as a tasting room, retail store and visitor center at Diageo’s Relay, Maryland site. The new brewery would feed Guinness’ innovation program by creating new beers for the U.S. market, but the vast majority of the brand’s world-renowned stout offerings would continue to be brewed at the St. James’s Gate facility in Dublin, the company said. RELAY, Md., January 31, 2017 – Continuing the momentum from Diageo Beer Company USA’s positive half year financial results, Diageo today announced its intention to build a US version of Dublin’s popular Guinness Open Gate Brewery in Baltimore County, Maryland. As currently planned, the company would build a mid-sized Guinness brewery and a Guinness visitor experience with an innovation microbrewery at the company’s existing Relay, Maryland site. This new brewing capability and consumer experience, combined with a packaging and warehousing operation, would bring the company’s investment in Relay to approximately $50 million. The new brewery would be a home for new Guinness beers created for the US market, while the iconic Guinness Stouts will continue to be brewed at St. James’s Gate in Dublin, Ireland. Visitors would be able to tour the working brewery, sample experimental beers brewed on-site at the taproom, and purchase Guinness merchandise at the retail store. While finalization of these plans is still contingent on reaching agreement on several considerations, the project would represent a significant investment in Maryland in terms of economic development, job creation and tourism. The project would re-establish a Guinness brewery in the US after 63 years of absence. The new brewery and visitor experience would become part of Diageo’s production facility in Relay, site of the historic Calvert Distillery which opened in 1933. Relay was chosen as the preferred location for this project for several reasons, including the site’s proximity to major East Coast tourist and population hubs, availability of skilled employees, and space to build and adapt existing structures on the property. While many specifics are still being evaluated, it is estimated that this project could generate approximately 40 jobs in brewing, warehousing and an agile packaging operation, which may include canning, bottling and kegging. In addition, the Guinness visitor experience part of the project could create approximately 30 jobs. A significant number of construction jobs would likely also be created during the building phase, and the company would endeavor to hire as many local firms as possible to conduct this work. “Baltimore County is thrilled that Diageo is reviving a historic building with the iconic Guinness brand. The brewery and tap house has all the hallmarks to become a popular tourist destination and will be a perfect complement to our local craft breweries,” said Baltimore County Executive Kevin Kamenetz. Diageo hopes to receive approvals and to begin construction this spring with the goal of opening the brewery this fall to mark the 200th anniversary of Guinness being first imported into the US. As reported in Diageo’s half-yearly financial results last week, Diageo Beer Company USA organic net sales increased 3%. 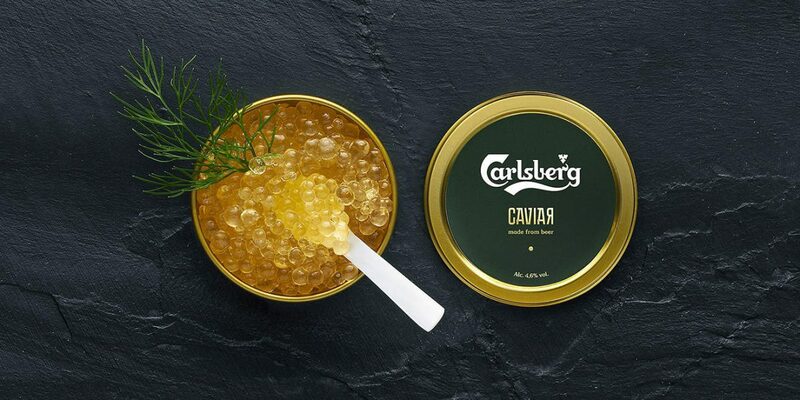 In honor of this year’s World Cup, Carlsberg has created the world’s first beer caviar. “The last couple of years there has been a trend within molecular gastronomy to develop artificial caviar from natural ingredients with all kinds of flavors. We thought it would be fun to create caviar made from beer to give soccer fans a taste of Russia,” says Danish chef Umut Sakarya, who developed the Beer Caviar along with Carlsberg’s brewers. Carlsberg is the official sponsor of the Danish national team, and is a beer that the brewery says, “most Danes view as part of their national cultural heritage.” Caviar has always been considered a traditional delicacy in Russia, the host of 2018 World Cup. Beer caviar combines both cultures into one single dish as a tribute to both countries. Beer is becoming an increasingly popular accompaniment to meals and one of the world’s best chefs has given it his endorsement. 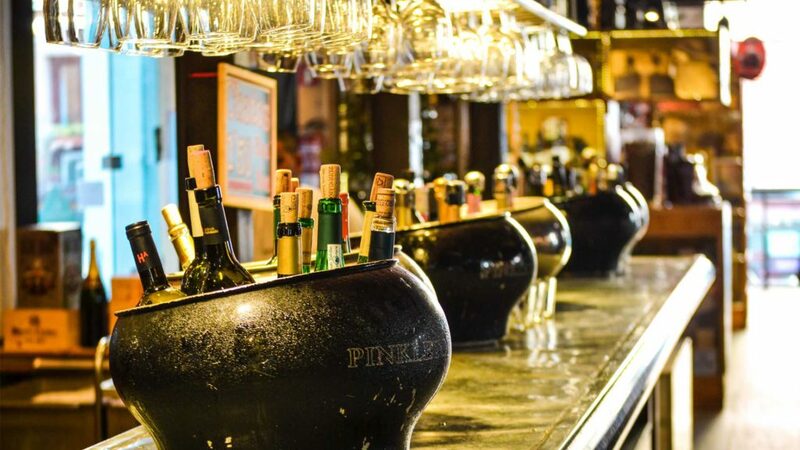 A Global Data report shows that 47% of consumers find the concept of pairing food and beer appealing, leaving it behind only wine in terms of popularity. 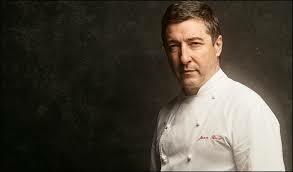 Joan Roca, chef of Girona’s three Michelin-starred El Celler de Can Roca – twice voted the world’s best restaurant – told DRN: “Beer gives diversity and complexity and it is being used more in our pairings. “Beer has so many opportunities because of its soft palate flavour, and it is bitter and sweet at the same time. This makes it versatile and it can be used with so many different pairings. Estrella has teamed up with Roca to produce a Food & Drinks Trends report, which, among other things, highlights the growing use of botanicals in drinks. The chef was in Manchester to present his ideas at a gastronomy congress. James Healey, Estrella Damm’s UK manager, added: “Gastronomy is a key focus for Estrella Damm and we celebrate beer’s place as the ideal beverage for pairing or cooking across a multiplicity of foods and dishes. “Working with the talented and creative chef Joan Roca this year has identified transparency and the wellness of our planet as key trends for 2018, which is very exciting for us, in line with our own business ethos, and a key opportunity for food and drinks businesses in the UK. Marston’s now distributes Estrella in the UK after buying Charles Wells last year, and it sits alongside Erdinger and Kirin in an intriguing world beer portfolio. The brewer’s insight executive, James Hodgkinson, said: “Although mainstream lager dominates the category, it is world beer which remains the category success story. “Consumers are discovering and becoming attracted to more premium, less ubiquitous brands, drinks with an authentic image and unique taste profiles which differ to other lagers. “It is also becoming a credible premium beverage to accompany quality meals, as opposed to an affordable drink for relaxation. Let’s Celebrate the Reinheitsgebot this summer with Radeberger Pilsner — Prost! The German beer “purity law” known as the Reinheitsgebot was introduced in 1516 by Duke Wilhelm IV of Bavaria. This decree allows for only hops, barley, water, and later yeast was introduced. The Reinheitsgebot turns 500 this year. And why was the Reinheitsgebot was enacted in 1516? To prevent price competition with bakers for wheat and rye, and to set price of beer at 1-2 Pfenning per MaS (1 litre). A version of this law is still in effect to this day in Germany, and is considered a cornerstone of its beer culture. 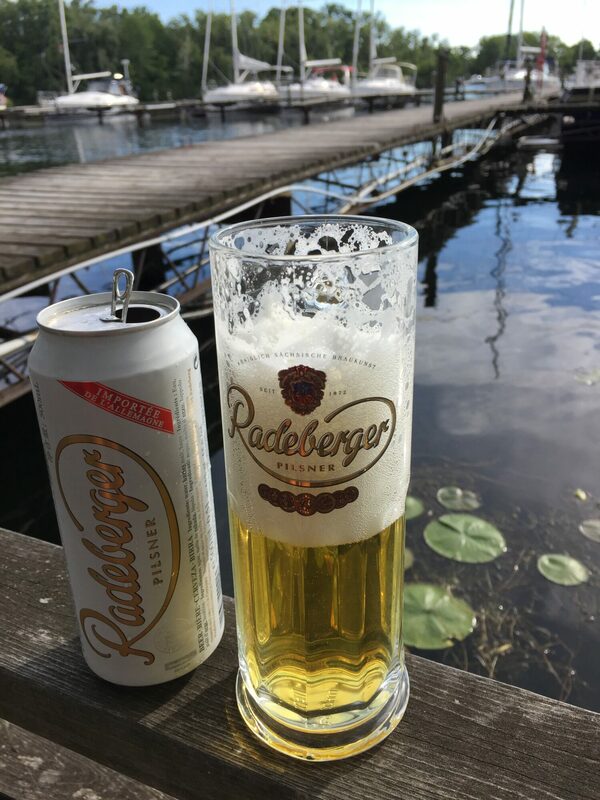 Radeberger was the official drink by King Friedrich August III of Saxony, and has long been enjoyed by German nobility. Typical German Classic Pilsner; Brewed according to Reinheitsgebot Purity Laws; 3-finger white head – which is foamy; pale golden hue; carbonation is consistent; the aroma consists of soft malt, with hints of biscuit and honey; flavours include some zesty hop astringency, grass, hints of citrus, and some green apple; medium finish is dry and biscuit – easy drinking, clean and refreshing. Author lizpalmerPosted on July 25, 2016 August 20, 2018 Categories Beer, ReviewsTags Beer, German, LCBO, Liquor Control Board of Ontario (LCBO), Liz Palmer, Pilsner, Premier Brands, purity law, Radeberger, Radeberger Gruppe KG, Radeberger Pilsner, ReinheitsgebotLeave a comment on Let’s Celebrate the Reinheitsgebot this summer with Radeberger Pilsner — Prost!